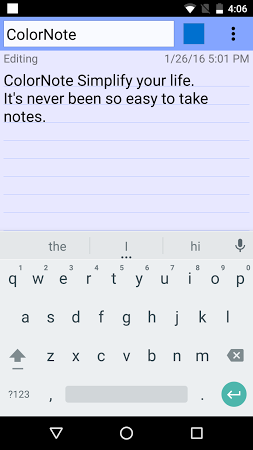 Notepad app that can be used to write notes, messages, or even e-mails. 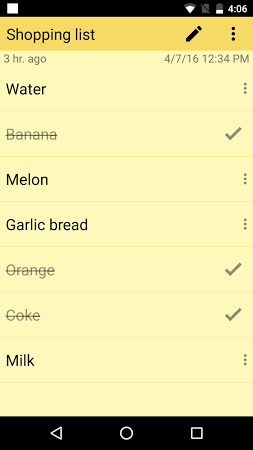 This text editor supports a checklist format that comes in handy for writing shopping lists and not only. 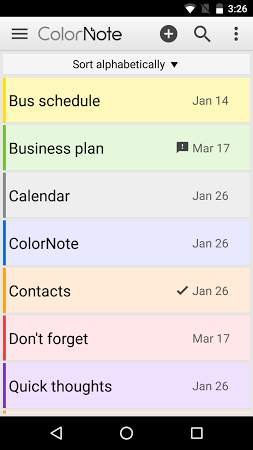 The notes can be saved, shared, or even have set reminders. 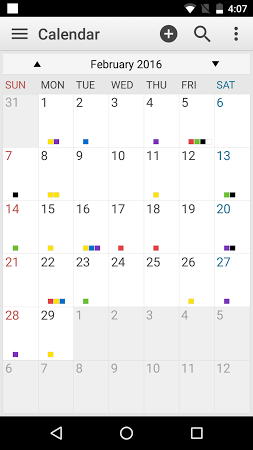 They can also be organized with colors. 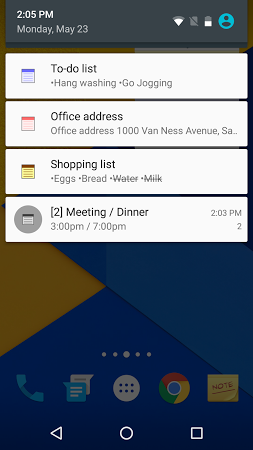 Write quick notes and memos on your devices' screen. Messaging app that supports group messages, SMS, MMS, and more. An app for hiding your access to messages. 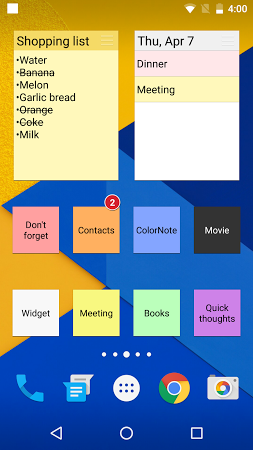 Note taking app which allows you to efficiently create, edit and manage notes.